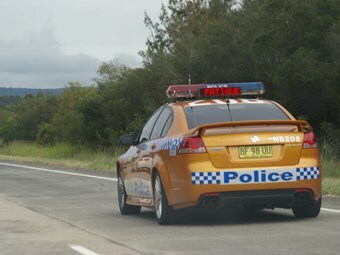 The National Heavy Vehicle Regulator will have the power to revoke infringements under a proposal to hold police officers accountable when national regulations begin. Weeks out from the final draft of national laws, industry groups are desperately seeking assurances on how police will be dealt with once a uniform regulatory system begins on January 1, 2013. The project team responsible for establishing the functions of the regulator has flagged the use of agreements with state-based regulators to ensure parties delegated to enforce the regulations apply nationally consistent interpretations. Australian Livestock Transporters Association (ALTA) Executive Director Philip Halton has scoffed at the worth of agreements because existing legislation states that officers are answerable to the commissioner of police when performing duties similar to state-based road authorities. "This means that legally police will not be a delegate. The NHVR will not be legally authorised to supervise their work, which is what being a delegate entails," he says. "ALTA’s view is that the regulator should have the power to operate as a complaints tribunal. It should have the power make rulings on a complaint and that means any police force who wants to justify what they’ve done will have to convince the regulator that they are right." The former high-level Roads and Traffic Authority bureaucrat say a low-cost complaints tribunal is an effective option because truck drivers cannot afford the costs of contesting fines in court. "Drivers should not have to spend thousands of dollars going to court simply to get errors fixed," Halton says. "A tribunal-style power, assigned to the NHVR, would be the best solution." NatRoad CEO Bernie Belacic agrees the regulator must have the power to review and, if necessary, rescind fines. He believes a legally binding heads of agreement is needed to ensure regulations are enforced consistently. He argues a memorandum of understanding will not work. "We’re basically wasting our breath with encouragement," he says. "Police should be delegates as well." Belacic says the agreement should permit a driver or an operator who receives a fine to forward it to the regulator to investigate. The Australian Logistics Council, which recently penned a letter to the project team raising concerns over the development of national regulations, says adequate training must be provided so state-based agencies know what they are doing. It wants details on specific responsibilities the regulator will delegate to other parties. Halton told ATN a tribunal is the ideal option in light of a number of examples involving trucking operators where police officers failed to follow correct operating standards. In one example, Halton says Vicoria Police weighed a truck driver’s vehicle and issued a ticket for being 300kg overweight on the steer axle. However, the officer did not apply a measuring adjustment in line with what road departments are supposed to do. "It looks very much as if this driver has been done over. If he weighed 6.8 tonnes, he should have been adjusted and assessed at 6.5 tonnes and therefore he should have been sent on his way. Instead he’s been given a fine for $179," Halton says. He claims an agreement on enforcing regulations between the regulator and police will not work because the former will not have any power to overrule infringements. "It may ask the police to change their mind, they will be utterly free to refuse and then suddenly we find out that the regulator is a toothless tiger," he says. "That’s clearly unsatisfactory. It will rapidly lead to the NHVR being humiliated and industry losing confidence." Halton says tribunals could be set up in multiple jurisdictions or the regulator could travel around the country to hear disputes. The Queensland Police Powers and Responsibilities Act states officers can be appointed as a public official at the will of the police commissioner. The commissioner decides the extent of the powers to be authorised. During a series of public consultations on national regulations the bureaucrat leading the NHVR project team, Richard Hancock, emphasised education and cooperation were needed when dealing with police. "I think education and information and relationships are the way that we will engage with the police agencies and the states and territories and have them be part of perhaps a new approach to compliance and particularly enforcement activities into the future," he told a forum in South Brisbane earlier this year. Once established, the regulator will be based in Queensland with offices throughout Australia. Jurisdictions will be responsible for passing similar legislation to ensure national uniformity, but some are refusing to let go of existing state-based regulations. Western Australia will not deal on fatigue management, while NSW is trying to cling to its ‘three strikes’ policy, the use of B-double suppression sprays and restrictions on the advanced fatigue management (AFM) module. What do you think of a tribunal to settle disputes on infringements? Is more police accountability necessary? Leave your thoughts below or contact ATN.